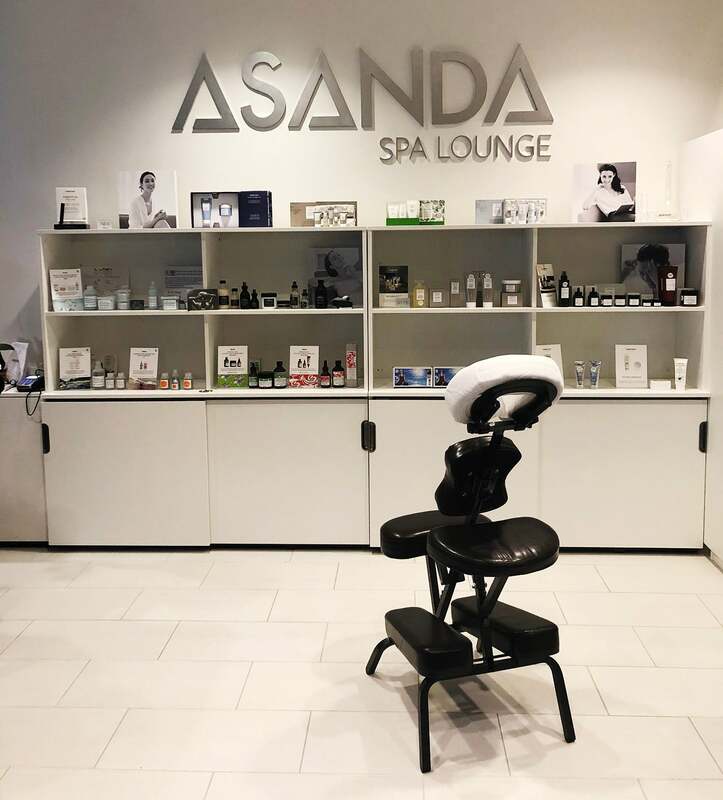 En route from Chicago to São Paulo, Brazil, with a three-hour layover in Atlanta’s Hartsfield-Jackson Atlanta International Airport (ATL), I decided to stop by Delta’s newly-minted Asanda Spa Lounge, located within Concourse E’s Delta Sky Club. 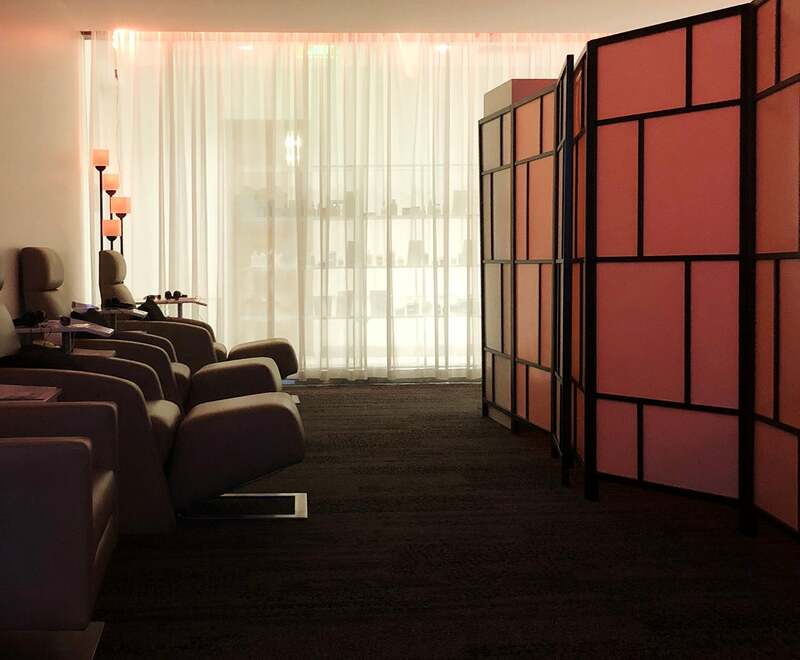 The spa is a collaboration between Delta and New York City-based Asanda Spa, a six-year-old Soho wellness center that’s currently shuttered, but formerly offered a pretty standard mix of hair salon services and spa treatments — massages, facials, that kind of thing. Right now, Asanda’s only locations are via its Delta partnership: Two outlets which debuted in 2016, one in New York’s John F. Kennedy International Airport (JFK), and the other in Washington’s Seattle-Tacoma International Airport (SEA). Encompassing 900 square feet, Atlanta’s Asanda Spa Lounge, located across from gate E15, claims about as much space as the New York and Seattle outposts, and is separated from the rest of Delta Sky Club via two curtained glass rooms in the lounge’s back right corner, past the main dining area. The spa also sits before and off to the left side of another glass door that leads to the lounge’s shower area, making it conveniently situated for a post-treatment rinse. 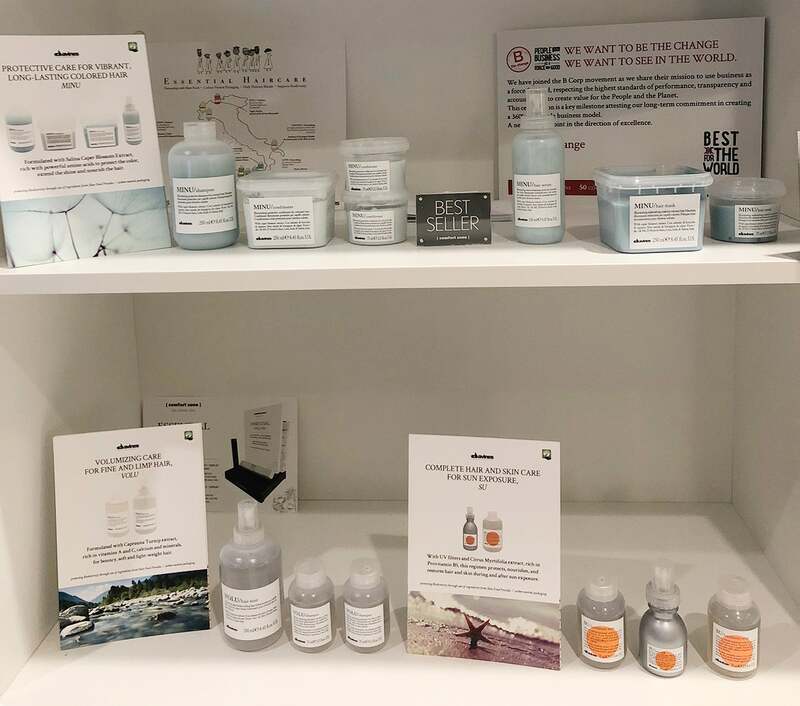 It’s easy to spot the spa thanks to a profusion of skincare products, which are organized along a series of shelves, with the Asanda logo above. A receptionist stands guard behind a small white podium, with a laptop and several skincare products. A rogue massage chair loiters lonely in the corner. Since I ended up with a massage, I was able to check out only one of the spa’s two rooms, but my hunch is that they both look pretty similar. The room I entered was dimly-lit and relatively non-descript, divided by a space partition, with one of those face-down massage chairs and a row of reclining chairs. A bunch of contemporary-looking floor lamps cast an orange glow. The room itself had one glass wall covered by a gauzy white curtain, but once inside you could see out into the lounge, and pick up on goings on out there. So, no, it wasn’t entirely soundproof, but it was pretty quiet. When I approached the front podium where the receptionist was stationed and inquired about the possibility of booking a treatment, she scanned her computer and handed me a menu. While perusing it, the she informed me that Asanda was currently offering something described as “The Deepak Chopra Dream Weaver Light, Sound, and Mind Machine” as a complimentary addition to any other treatment. 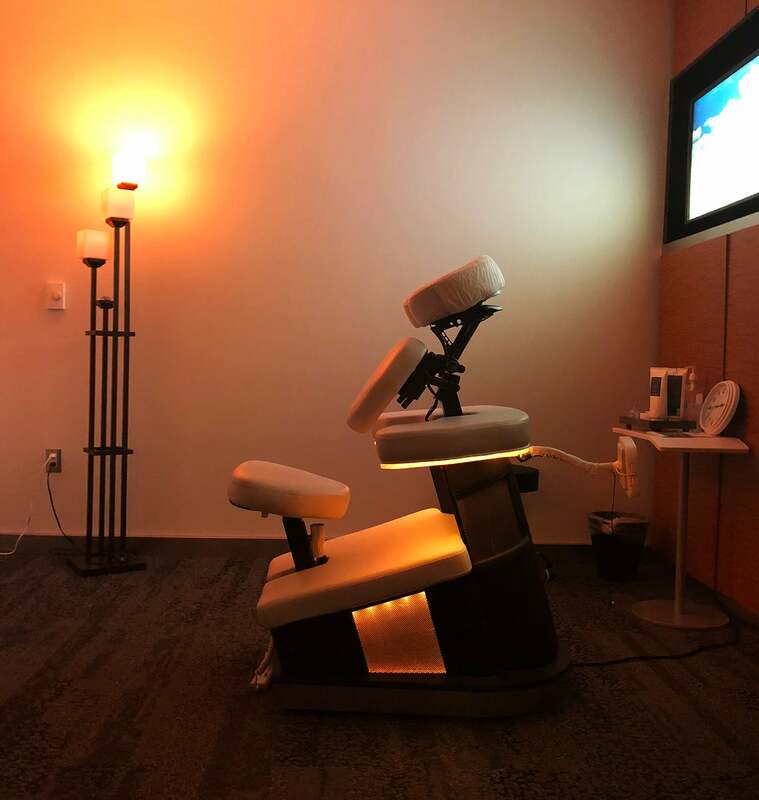 Typically, Dream Weaver — which the spa describes as a service that uses colored LED lights to reduce stress and anxiety — runs for 25 or 50 minutes, priced at $30 or 3,000 miles, and $60 or 6,000 miles, respectively. Unsure exactly what that all meant and rather dubiously, I decided to add it on to a facial since I had some time to kill. However, either all facials appointments were booked, or no estheticians were on hand, so I settled on a 30-minute foot and leg massage. Asanda offers a variety of massages targeting different parts of the body, in addition to a spa facial, two different eye treatments, and a guided meditation experience with a massage and some type of unclear skin treatment. In general, services range from 10 minutes (for a head, neck, and shoulder massage) to 45 minutes (for meditation), with costs starting at $30 or 3,000 miles (for the foot and leg massage), and running as high as $100 or 10,000 miles (for a signature massage). 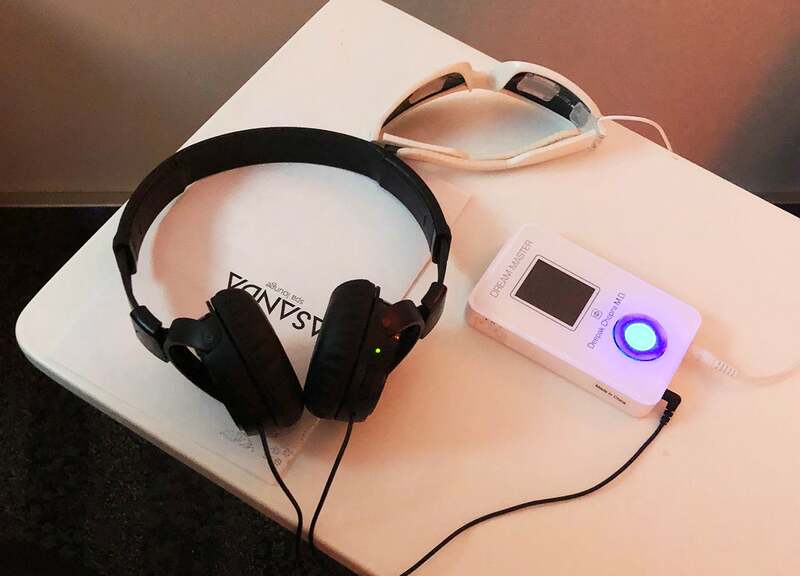 Once situated on a rather comfortable zero gravity chair, my masseuse handed me headphones and sunglasses that looked as though they had come from Back to the Future, with protruding lights and a wire. She clicked play on a connected electronic box, and all of a suddenly red, green, and blue lights started pulsing through my closed eyelids, as soothing chants and chimes kicked in. Meanwhile, the masseuse began exfoliating my feet and calves with what felt like a salt scrub. If you’ve ever had one of those massages in which the masseuse rubs your body without hitting any pressure points — the point of a massage, for most — that was my experience with this foot and leg massage. Basically, someone applying lotion to your feet and legs for 30 minutes, resulting in well-hydrated lower limbs. But ultimately you sign up for a massage with the intent of relieving physical pressure, and leaving more relaxed. While the massage didn’t fare so well, Deepak Chopra’s meditative lights and sounds actually did relax me more than I had anticipated. After 25 minutes, when the masseuse switched off my colored sunglasses and the music stopped, I was met with a moderately-silent room, and found myself wishing they were both still playing. But, would I spend $30 for that experience? Probably not. Though as a gratis add-on, it was great. Asanda sells, and uses in its treatments, two organic and sustainably-minded brands owned by the same Italian company, Davines Group. 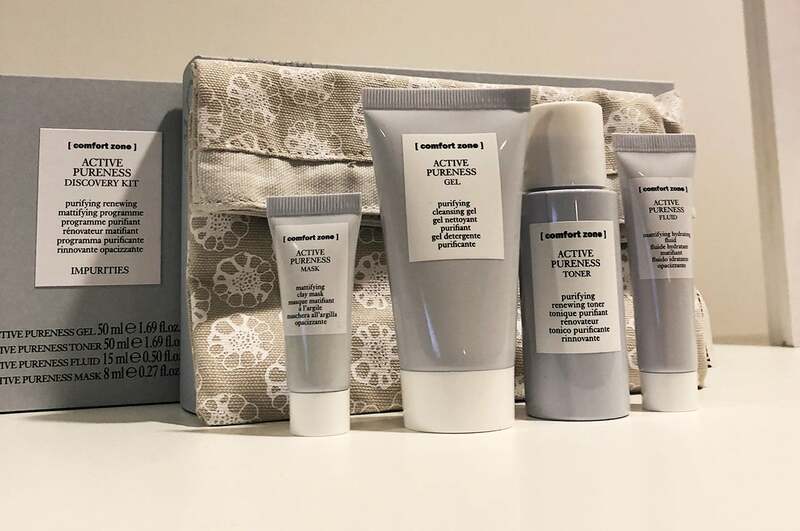 Davines focuses on hair care products, while [comfort zone] centers on skin care. Both embrace an environmentally-conscious, less chemical-laden approach to crafting wares like hand lotion, shampoo, and relaxation oil — principles I especially appreciate as a devotee to natural beauty. While I was familiar with Davines and, in fact, had been a big fan of their hydrating Love conditioner many years ago, the [comfort zone] brand was new to me. Customers can book Asanda Spa Lounge services online, or book in person at the Delta Sky Club. Both are subject to availability, of course. Patrons can pay in dollars or miles for treatments and products. According to an official Delta statement, the Asanda Spa expansion is part of the company’s ongoing efforts to elevate lounge experiences. While my massage in particular was pretty mediocre, the lounge offered friendly service, a clean space, and a decent array of treatments from which to choose. When you think about how much airport vendors jack up prices on pretty much everything, and consider the generally high cost of regular spa treatments, Asanda’s rates weren’t too bad. That is, assuming you get a great massage or facial. Offering weary travelers the option to sign up for a spa experience is a welcome amenity, and if Delta can improve treatment quality, it will succeed in presenting flyers with decently-priced options to combat travel-related stress. 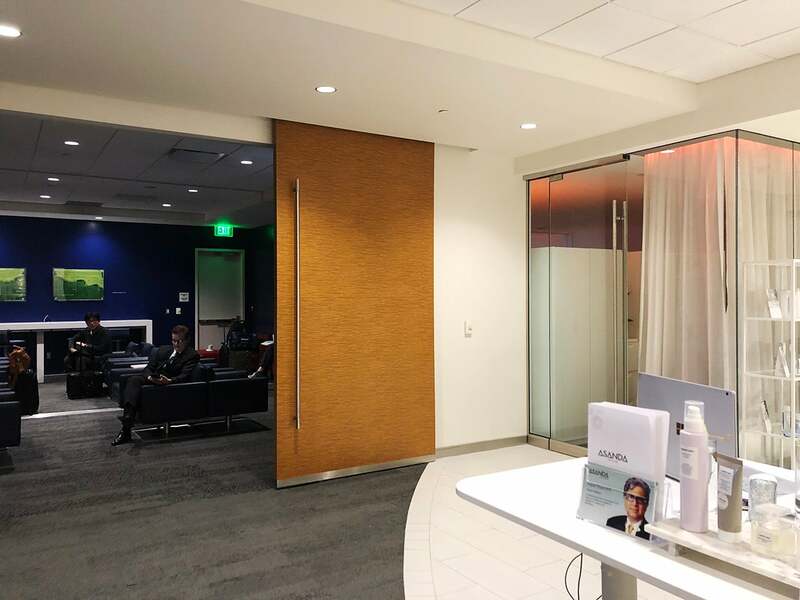 Considering Delta's new Asanda Spa Lounge in Atlanta's Hartsfield-Jackson Atlanta International Airport (ATL), and whether the facility is worth a visit.